Who can keep track of all the new tricks your computer, tablet, or phone can do? Who can keep up with all the apps in Google Play or the App Store? When you add tracking new accessibility features on top of teaching children or teens with learning challenges or other special needs, it’s hard. But there’s some wonderful help available. But there’s more extensive, thorough help in the free webinars she now gives online. In the latest webinar, “They May Not Know,” Joan explains what accessibility features are available on software and hardware you already own or can get for free. I’ve been watching the first version of the webinar this week. This webinar was so popular that she’s giving it again. Please go right now and sign up. I’ll break my rule about not putting links in the text of my blog: go here. This will close fast, since only 100 can sign up. It will be held June 26, 2018. If you cannot watch live, it’s still worth signing up. She’ll send you a link to a video and handouts afterwards. 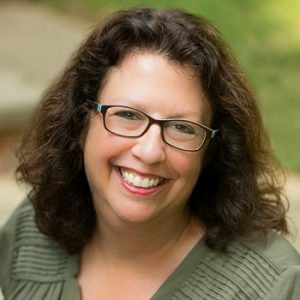 You’ll want to attend if you can, though, because Joan likes to customize her workshops to the attendees’ needs and questions via the chat feature during the workshop. Missed that one? Here’s a list of all her events and webinars. 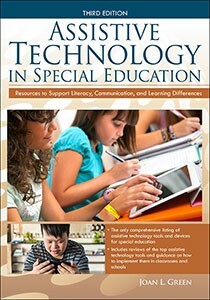 On top of that, Prufrock Press has just released the third edition of her book, Assistive Technology in Special Education: Resources to Support Literacy, Communication, and Learning Differences. This book is another wonderful resource for parents trying to navigate the world of assistive technology. Assistive technology devices (also referred to as adaptive technology) refer to any “item, piece of equipment, or product system, whether acquired commercially, modified, or customized, that is used to increase, maintain, or improve functional capabilities of individuals with disabilities” (Assistive Technology Act of 2004, § 3.4). 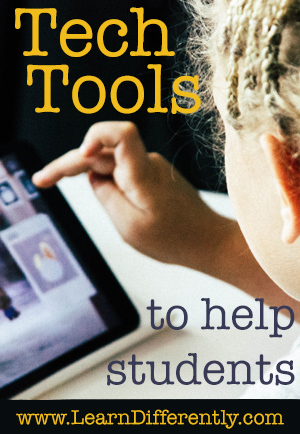 Being informed about assistive technology can make a big difference for you and your child. Technology changes so fast that you may wonder, as I did, why you need a book for this topic. Wouldn’t the webinars be more helpful? Joan’s webinars are great, but the book gives you a framework for thinking about assistive technology, and answers more questions than Joan can get to in an hour. Plus, it’s easier to flip and search through than an webinar. It helps you know where to begin to look and what kinds of help to look for. Prior solutions may no longer work, and many new features that were costly in apps before are now free. Having a book to consult will help you save time finding solutions. Technology has improved in the seven years since the first edition. More online support is available, so more families can use these tools without needing a local expert. Having just watched her webinar, I can see that both the book and the video are helpful. I would want both if I were trying to help a student with learning challenges. The book provides more depth, and the videos show you exactly how to use various software tools. Sign up for Joan’s mailing list and Facebook group so you don’t miss any upcoming free webinars. Joan plans to provide more in-depth help through paid online courses. That’s another reason to join her list and Facebook group. Need more help? Hire Joan for a private consultation. 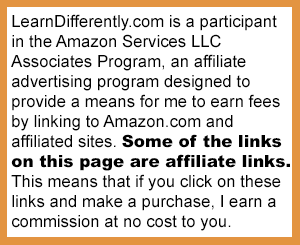 She’s a bargain hunter in the world of assistive tech, and she is adept at finding the best hardware and software for your family member. She also loves homeschoolers. Joan’s website, Innovative Speech Therapy. More about Joan on my blog.